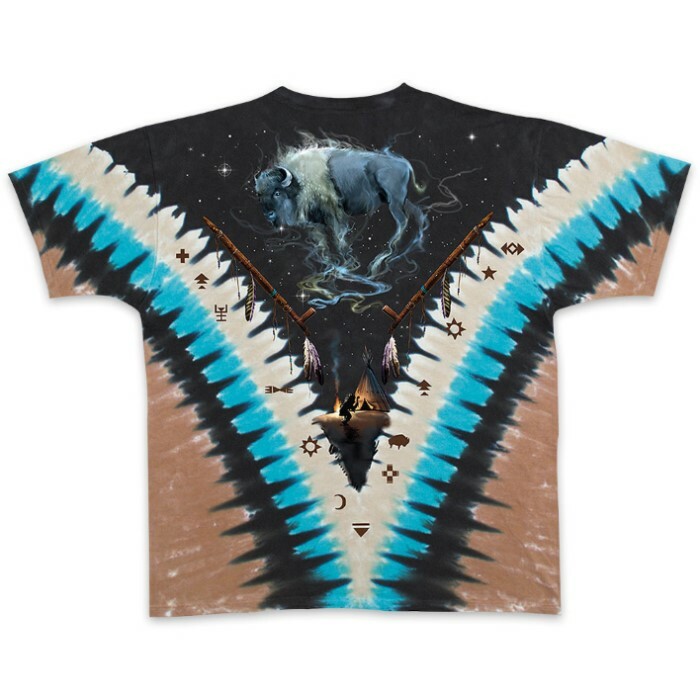 Native American Bison Skull Tie-Dye T-Shirt | BUDK.com - Knives & Swords At The Lowest Prices! 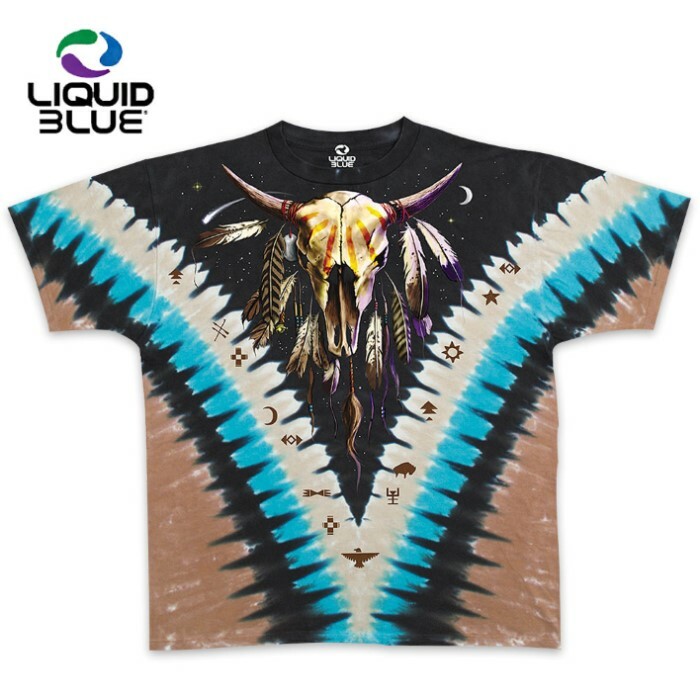 The Bison Skull Tie-Dye T-Shirt is an official Liquid Blue fantasy graphic tee that features a Native American themed design, which honors the American Bison’s importance in Native American history. The stunning artwork appears on both front and back on the tie-dye background of the 100% heavy-weight cotton shirt. For comfort and durability, it has a two-needle stitched neck and taped shoulders. This preshrunk t-shirt was designed, dyed and printed in the USA. It comes in LRG, 1XL and 2XL.